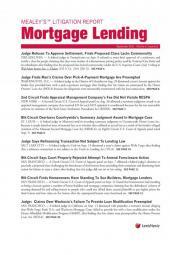 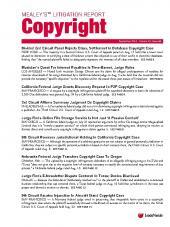 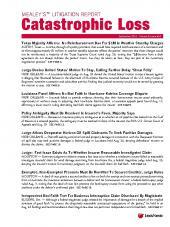 Monthly newsletter covering litigation related to the mortgage industry. 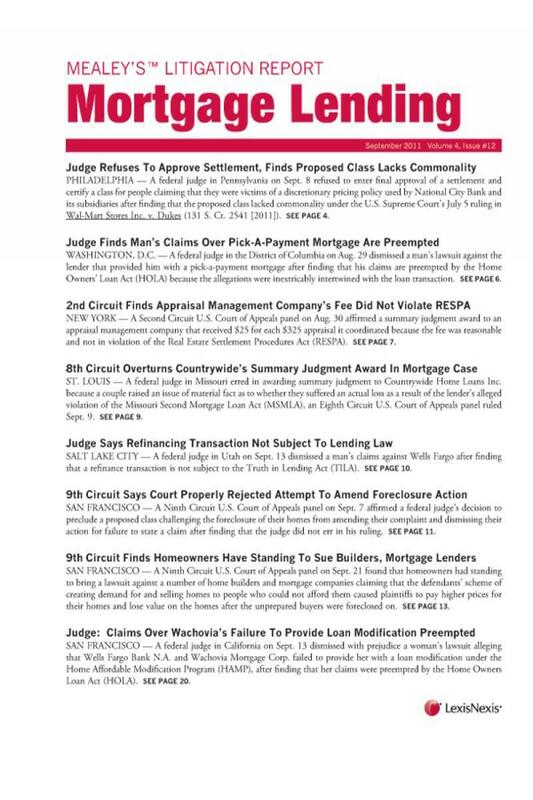 Mealey's Litigation Report: Mortgage Lending summarizes court decisions, pleadings, regulatory actions and legislative developments plus covers topics such as the Truth in Lending Act (TILA), the Home Owners and Equity Protection Act, the Real Estate Settlement Procedures Act (RESPA), the Fair Housing Act, predatory lending, mortgage disclosures, discrimination, loan modifications, consumer protection/unfair trade, foreclosure and bankruptcy. 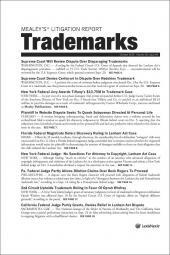 It also covers subprime lending issues, including: securities class actions by investors against lenders and home builders alleging failure to disclose information that, once released, adversely affected value of company stock; ERISA class actions by 401(k) participants and beneficiaries against lenders and home builders alleging failure to disclose information and breach of fiduciary duties; class actions by home buyers against home builders and financial institutions alleging deceptive trade practices; government actions against lenders; lawsuits by investors against investment banks claiming lost money on bonds backed by subprime mortgages the investment bank sold; corporate restructurings and asset sales of businesses adversely affected; and directors and officers liability.